The 20th Annual George Mason University (GMU) Transport & Dispersion modeling conference will be held on June 13-15, 2017 at Fairfax Campus of George Mason University (Enterprise Hall Room 80) GMU Fairfax Campus. Abstracts may be submitted by all interested persons. Presentations will be given in the format of a typical conference, with 15 to 20 minutes available for each presentation and its discussions. A poster session will be held in the hall outside the meeting room. This will allow persons to present posters who prefer this medium to an oral presentation, or where the conference committee decides that the poster format better accommodates the work described. Our goal is to provide a forum for exchange of ideas on ongoing research. Abstracts should be submitted by e-mail before May 31, 2017 to Dr. Zafer Boybeyi (zboybeyi@gmu.edu) and Dr. Joe Chang (joseph.chang@hsi.dhs.gov). The title and an abstract of less than 200 words should be submitted along with full names of all authors, e-mail addresses of all authors and mailing address and telephone number of the lead author. The abstract should be either in plain text or in Microsoft Word for Windows. There is no requirement for a written paper, although presenters are asked to provide, during or after the conference, electronic copies of their presentations. These materials will be placed on our web page (http://camp.cos.gmu.edu) for distribution to participants. If you would rather not be considered for oral presentation but would prefer to present a poster, please inform us in your note accompanying your abstract submittal. Improvements in model inputs (e.g., land-use data, 3-D building data) and output visualizations. We also welcome ideas from groups interested in arranging special sessions. During the course of the conference, the Office of the Federal Coordinator for Meteorology will conduct a special session related to the OFCM's ongoing work with the other members of the Federal meteorological community to implement the recommendations in the OFCM report, Federal Research Needs and Priorities for Atmospheric Transport and Diffusion Modeling. This session will be organized by OFCM in conjunction with GMU. We are also in the process of organizing special sessions on Jack Rabbit (JR) II field experiment and the European Commission's Urban Dispersion International Evaluation Exercise (UDINEE). 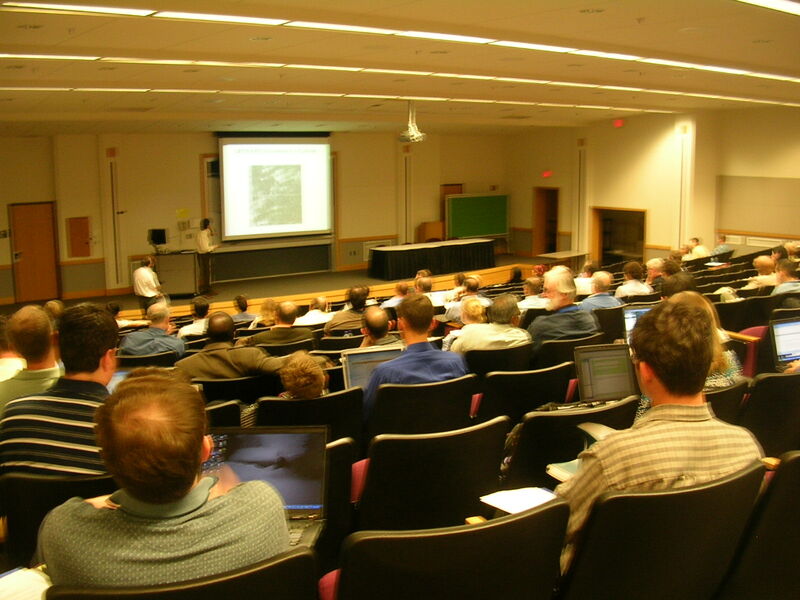 Participants of the past niteteen conferences included representatives from DoD, EPA, DOE, NOAA, universities, private companies and other agencies doing related research, as well as scientists from other countries. Very fruitful contacts have been made over the past eight years and there are many collaborative studies have been initiated as a result of the conference. The campus map can be found at the URL: http://info.gmu.edu/Maps/FairfaxMap15TabldColor.pdf. A list of nearby hotels is available at http://www.gmu.edu/welcome/hotel.html#FAIRFAX. The Fairfax campus of George Mason University is located about 15 miles west of Washington, DC, and is about halfway between Reagan National Airport and Dulles International Airport. Registration fee is $300 to cover administrative expenses. We accept only cash or check. Lunch can be purchased at the Johnson Center food court. Parking is available at the GMU visitors parking decks (buildings 41, 42, and 43 on: http://parking.gmu.edu/GMU_FairfaxMap14_Parking.pdf) with a daily rate of $15 (see http://parking.gmu.edu/visitorsparkingrates.html).